'The Candyman' aka Travers Beynon is opening his house up for a private party... and you can attend. He talked about this unique opp (c'mon, aren't you just a little bit curious?) during his appearance on the 'Kyle and Jackie O Show' yesterday on KIIS FM radio. See below for more details. Often controversial, 'The Candyman' wanted to set the record straight about what the media gets wrong about him ('A Current Affair' featured him on the show many times, with the photo of dog collared women on each report). 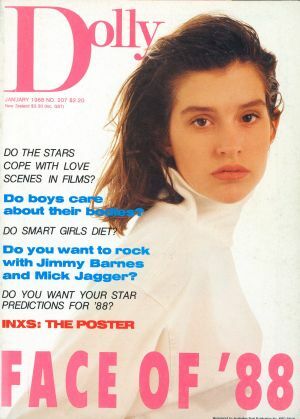 "They say that I degrade women, but when you have so many women like I do, you can’t afford to degrade women. It’s not going to work." Added Kyle: "Exactly, why would they be there if you did? They’re not being made to be there." "The only thing I could ever be accused of is being obsessed by women." 'The Candyman' actually has custody of his two eldest children. How did he make his money? Travers started out as a model, investing his money, and turning it into millions. Today he has a wife (his second), and more than five girlfriends at any one time. And now, the 'Seven Deadly Sins' party at 'The Candyman' mansion, on the Gold Coast in Queensland. It's happening on December 3, and you can win tickets. Follow 'The Candyshop Mansion' on Facebook HERE. And follow him on Instagram HERE. Taking Gold Class cinema experience to another level. Screening on Australian TV on December 5, on Foxtel's E! Channel, it's an eight part docu-series. 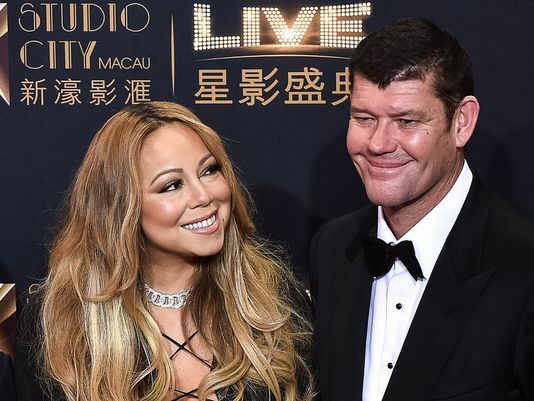 The series follows Mariah Carey as she kicks off her 'Sweet Sweet Fantasy' tour of the UK, Europe and Africa, while planning her upcoming wedding to James Packer. Well, that's not happening anymore, as the world now knows. The footage will still be included. It was previously reported James would indeed appear in the show. The series is produced by Bunim/Murray Productions (of the 'Keeping Up with the Kardashians', 'The Simple Life', and 'I am Cait' fame). Here is the latest clip on Mariah talking about her failed engagement... kinda. On 'Ellen'. 'Mariah’s World' premieres on December 5 at 1pm and 9.30pm on E! on Foxtel. 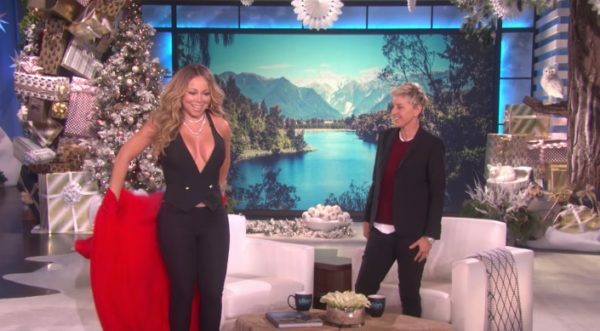 Mariah Carey has appeared on Ellen DeGeneres's show 'Ellen' overnight, and chatted for the first time about fiancé James Packer - inadvertently. Ellen says: "He (James) didn't want to be in the docu-series..."
And click here for the extended trailer on Mariah's new show 'Mariah's World' - screening on Australian TV soon. See Australian screen date and extended trailer HERE. Are you a camper? You know, roughing it a little, your sleeping bag on a patch of grass, maybe feeling the lumps under your body? For some people, this is their idea of heaven. Me? Well, I don't know... I am not a camping gal, in the traditional sense of the word. But: a raised bed, a table to pop in my mini 'home' to have a meal and snacks from, ample space to store my bags, and STILL have room to move? Now THAT'S my kinda mini break. What I love most about my new fave destination is that it's right in the heart of Sydney, no driving hours from Sydney suburbia to get to your spot close to nature. Harbour City Ferries offer a regular public service to and from Cockatoo Island seven days a week - see the timetable here. You can also catch a private water taxi - Google them if this is the way you want to go. Alternatively, you can kayak over to the island and leave your kayak next to the slipway - yes, for real! Or, if you have a boat (can we be friends?) you can berth your boat at the marina. Visit the Cockatoo Island Marine Centre(link is external) website for bookings. You're already mentally packing, aren't you! There are two cafes on the island - Societe Overboard and the Cockatoo Island Marine Centre. Opening times vary and can be weather dependent, so please check their websites for updates.The Visitor Centre also has small sundry food items for sale (such as long life milk, two-minute noodles, etc). There are vending machines located around the island stocked with snacks and cold drinks. A word about the truly wonderful staff - we arrived a smidge late to Cockatoo Island, and the lovely staff made us some bloody delicious burgers before they shut shop. Can I tell you, eating burgers and having wine overlooking the most beautiful in Sydney was a real travel 'moment' for me, and my crew in tow. My four person glamping tent companions were my daughter and I, and a friend and her goddaughter. It's SUCH a bonding experience to come with little ones. They are in awe of the vast expanse of Cockatoo Island, and roughing it (but not really) the whole time. The very well set up and equipped kitchen nearby (make your own brekkie in the morning with that awesome view on the BBQs set up in the open air (but undercover) kitchen area, and you want want to leave as you lap up the sunshine and have your bacon and egg rolls in the seated area (you can order the breakfast pack in advance, and pick up from Societe Overboard). In line with that, you might wonder: can I bring my own food and beverages? But, no alcohol is permitted on the island - though you can buy it, which is what we did. Can you imagine sipping some bubbles on your personal deck as the sun goes down? Yes... exactly like that. The two cafes listed above are licensed to serve alcohol. Takeaway beer and wine can be purchased from Societe Overboard to be consumed at your tent, the campground kitchen or the campground firepit. You can order the prepared BBQ packs for dinner (in addition to the breakfast packs), again pre-ordered from Societe Overboard, a minimum of 48 hours in advance. A note on money: come with cash, as there are no ATMs on the island, however EFTPOS facilities are available in all retail outlets and minimum purchase amounts may apply. Cashouts are not available. Camping, especially if you are wanting to go for a walk at night around Cockatoo Island (which I highly recommend; it's so serene and a touch eerie... if you and the kiddies are into that, you'll have a surprising amount of fun) might elicit fears for belongings. You can use the Cockatoo Island lockers, located in the Muster Station (close to the Visitor Centre), which is also for day visitors and campground guests to store luggage. They have power outlets inside them for charging devices. Charges apply to use lockers and only gold coins are accepted. Small lockers $2 / Medium lockers $4 / Large lockers $6 - for 8 hours. Lockers are recommended for overnight campers who arrive early or want to stay after checkout and explore the island. It may be an obvious thing to know, but in case you don't: you can't bring your vehicle to Cockatoo Island. The closest parking is available at Woolwich, with plenty of unmetered spaces. Valentia Street Wharf in Woolwich is just one ferry stop from the island. Or, train it in and catch a ferry across to Cockatoo Island. There is disability access - Cockatoo Island has wheelchair access and disabled toilet facilities (because of the heritage nature of the island some surfaces are uneven). You can also undertake various tours on Cockatoo Island. It's all right here, you don't even have to move around much, or leave Cockatoo Island at all. We did the Ghosts of Biloela tour... scary stuff, but very interesting! It's is an interactive geo-locative audio drama app for smart-phone users. A site-specific work which takes place on Cockatoo Island, it is a fictional drama which tells the story of the girls incarcerated in the Biloela Reform and Industrial School for Girls (1871-1888) who suffered terrible treatment through this ill-conceived government program. The interactive story transports listeners back to Cockatoo Island’s reformatory school through storytelling and audio-rich soundscapes. The story of Cockatoo Island’s industrial training school and reformatory for girls is far less well-known that the island’s convict and shipbuilding history. It is a story that needs to be told and by integrating this little-known chapter of Australian history to an app that will lead users to the actual sites on the island where the story took place is an interesting and unusual way of telling it. It also has some contemporary resonances considering the work of the current Royal Commission into Child Abuse and the important focus on this issue. Ghosts of Biloela is an interactive geo-locative story app for smart-phone users. A site-specific work which takes place on Cockatoo Island, it is a fictional drama set in the Biloela Reform and Industrial School for Girls (1871-1888). A “reformatory” institution based in the island’s former convict prison, Biloela housed a congregation of wayward girls, both orphaned and delinquent, who suffered terrible treatment from this ill-conceived government program. The interactive story of Ghosts of Biloela takes listeners back to Cockatoo Island’s reformatory school through storytelling and audio-rich soundscapes. Follow the adventures of Mary Anne Meehan, the newest inmate and the app’s central character, as she plans her escape from the island and the despotic regime of the heartless Superintendant Lucas with the help of her new friend Sarah Bourke. Despite the bleak conditions under which they live, the girls find comfort and strength through friendship and solidarity. As you explore the ruins and remains of the girls’ school on Cockatoo Island, Ghosts of Biloela uses your phone’s GPS location to trigger the audio stories. Listeners are encouraged to roam freely, using the map to find the hotspots unlocking different chapters of Mary Anne’s tale. The path you take is up to you. If you’re away from the island, you can still experience Ghosts of Biloela in armchair mode. A historical drama anchored in the geo-locative technology of the future, this smart phone app blends electrifying binaural soundscapes with a compelling choose-your-own-adventure. Ghosts of Biloela features an all-star cast including Ashleigh Cummings (Puberty Blues, Miss Fisher's Murder Mysteries); Jada Alberts (Cleverman, Wentworth), Sophie Hensser (Love Child, Underbelly), Nathan Lovejoy (Sammy J and Randy, The Code) and Marcus Graham (Secret City, Hiding). After the closure of Cockatoo Island’s convict gaol in 1869, the prison buildings were put a new use in 1871 as the home of the Biloela Reform and Industrial School for Girls. Designed to provide care, education and training for neglected and abandoned girls, the Industrial School housed orphans and neglected girls while the Reformatory incarcerated girls convicted of crimes. During the institution’s first few years, the girls’ treatment was appallingly harsh under the cruel and violent regime of the Superintendant George Lucas and his wife Mary Anne. Following the investigation by the Royal Commission into Public Charities (1873-74), both Lucas and his wife were dismissed and conditions gradually improved. In 1879 the reformatory was closed but the industrial school remained until 1888 when it was moved to the former Roman Catholic Orphanage at Parramatta. Or you can do the solo tour with personal headphones provided, on each important landmark on Cockatoo Island. You can even skip ahead on your headset recording if you want to hurry it up it a tad if you have tired kiddies. Or you want to focus on your fave Island spots. You guys, there is SO much to do! That's why it's highly recommended you stay for two nights. Josie's Juice highly recommends Glamping on Cockatoo Island!